At a Dusseldorf Airport press conference held on the 9th of November it was revealed that Singapore Airlines will commence a thrice weekly service between DUS and SIN as of July 2016 using their brand new Airbus A350-900 passenger aircraft. Singapore is yet another new Far East destination to be served from the North Rhine-Westphalia region. This follows on Beijing, Tokyo and the recently added services to Hong Kong. The new DUS-SIN connection will start with three weekly flights departing DUS on Tuesdays, Fridays and Sundays and returning from SIN on Monday, Thursday and Saturday evenings. Whether this will develop into a daily operation remains to be seen and will be dependent on future passenger and cargo demand. The Airbus A350-900 is the star of Airbus’s new long haul wide-body generation of aircraft. It is presently in service with various carriers around the world, but DUS will be the first airport in Germany that SQ will serve with the A350-900. The airline already has long-standing daily services to Frankfurt and Munich. The A350-900 is a new generation long-haul aircraft and will certainly offer shippers in the NRW region much needed direct cargo uplift into South East Asia. 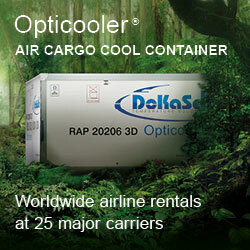 How much payload will be on offer is still undecided. Conservative estimates for the thirteen hour non-stop flight are that around 10 tons on the eastbound sector and somewhat less on the SIN-DUS route. 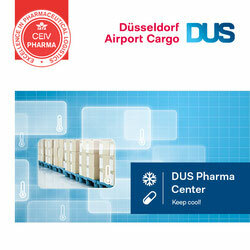 The new service will give DUS Cargo’s relatively new pharma-centre an added boost for the transport and storage of pharmaceutical products to and from the Singapore region. They are part of a wide-ranging partnership agreements signed by SIA and LH. According to the treaty, the two airline groups will operate key routes between Singapore and Europe on a joint-venture basis, in addition to significantly expanding codeshare ties and deepening commercial cooperation. The upcoming Singapore-Dusseldorf flights are integral part of this pact.